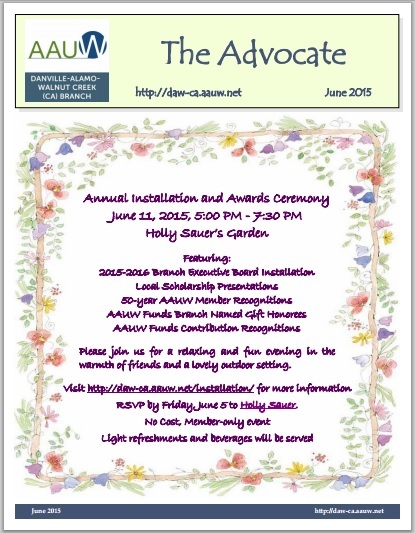 Download our June 2015 Advocate now: To read and print out our newsletter, click the image. This month, we have a 6-page issue. – Our June 11 2015-2016 Installation & Award Ceremony. – Time to renew our membership!